You are currently browsing the tag archive for the ‘galaxy’ tag. Since the year is pretty new and my bright hopes and shining dreams for 2019 are still intact, here is a Friday evening blog post! I have been worried that I have not been devoting sufficient time to blogging. In particular I have lately been especially bad about responding in a timely fashion to anybody gracious enough to post a comment. I promise I will work hard on doing a better job writing and responding this year, so keep those comments coming! In the meantime, kindly find a picture of the first sculpture which I finished in 2019: “Galactic Fluke,” which is carved out of wood and adorned with a handmade polymer galaxy and plastic stars. When I pulled that galaxy out of the oven it looked like a millipede with hairy waving legs…and it was no picnic making it adhere properly to the fluke instead of to my fat fingers. Regular readers of this blog will recognize the flounder as the quixotic avatar of all Earth life in my recent artworks. Concerned friends and relatives have asked why the Pleuronectiformes have so completely infiltrated my ouevre–so I will answer that question in greater depth in 2019 (the emotional side of the story involves a confessional story about my life, and the intellectual side of the story involves a treatise on environmentalism and musings about the future of all of humankind). This sculpture however transcends such concerns–this is, after all, a galactic fluke…a very great flounder indeed! It represents the apogee of my desires–life transcendent and all-present at an incomprehensibly vast scale. One of my friends said that his mother, a devout Muslim, was worried that my art is idolatrous (!) which is difficult to respond to, but I do certainly try to imbue my conception of the numinous into my flounder works. I have never found a bunch of rules from ancient near-eastern sages to be particularly supernatural…but the interlocking destinies of lifeforms living together in complex ecosystems does inspire me with feelings of transcendent awe. 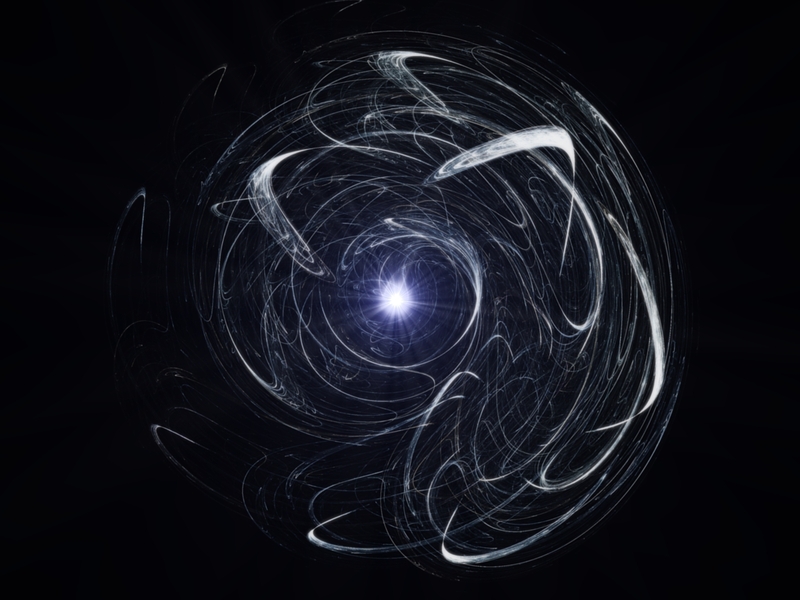 The great web of life on Earth is the closest thing we know to divinity–save perhaps for the celestial grandeur of outer space with all of its scope and mystery. This small sculpture is an attempt to bring these two sacred concepts together in poplar, paint, and plastic. Sometimes if you aren’t watching the heavens (or the news) closely enough, you miss a major astronomical discovery. For example last summer, astronomers discovered a galaxy which formed only one or two billion years after the Big Bang (so I guess it is unclear whethter I missed this story by one year or by 12 billion). At any rate, the galaxy hunters used the Hubble space telescope to peer through a powerful gravitational lense far away in space. Gravitational lenses are areas where timespace is warped like a huge lense by high-gravity phenomena, and a viewer can use them like a huge lense to see far-away objects. By using the Hubble telescope together with the gravitational lense they were able to see back a dozen billion years in time to the edge of the universe…as it once was not long after creation. What they saw perplexed them. 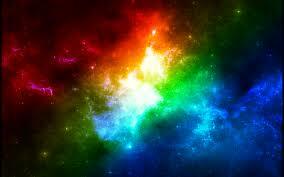 There is a fundamental difference between galaxies. Galaxies where stars are being formed tend to be blue and spiral shaped (like our own beloved Milky Way!). Galaxies where stars have largely stopped forming are “red and dead” since the remaining stars tend to be long lived red dwarf stars and the bright young (short-lived) blue stars are mostly gone. These red galaxies are not shaped like spirals, but tend to be elliptical shaped (like an egg or a football, not like one of those evil gym machines). The ancient galaxy at the edge of the universe was neither of those colors or shapes. It was a dense yellow disk. Stars formed in an (enormous) accretion disk but then, for some reason, new star formation stopped. The blue stars burned out (“the light that shines twice as bright etc, etc..”), but the yellow middle aged stars were still burning. The galaxy had three times the mass of the Milky Way but scrunched into a pancake of much smaller area. 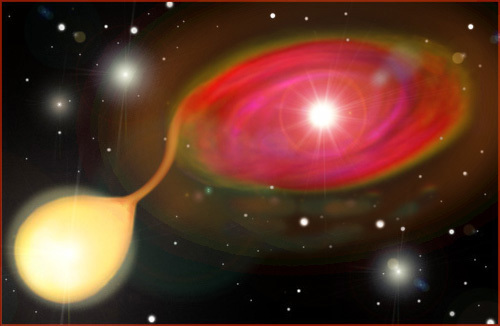 So do galaxies always form as disks and then either become self-renewing blue spirals (maybe by colliding with other galaxies or clouds of dust)or dead red footballs? Or was this early yellow disk galaxy an abberation? 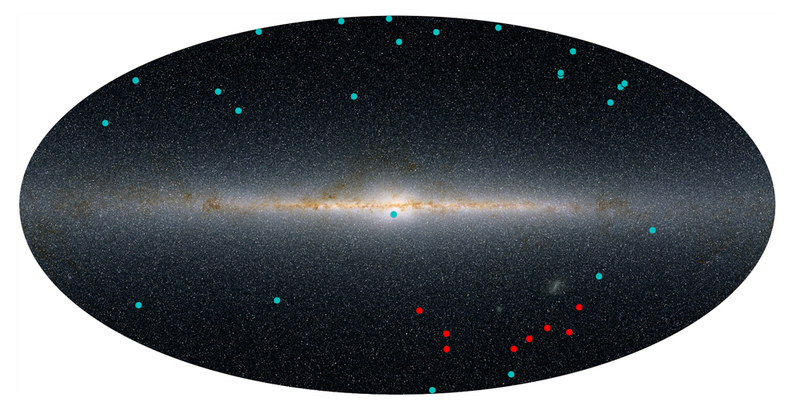 Or is our own galaxy truly new (well…newish…being only a few billion years old)? I do not understand astrophysics well enough to answer these questions or even formulate them properly (although I get the sense some of these questions may not yet be answered by anyone in any comprehensive way), but I would love to hear what people can add to this rudimentary yet compelling story of shapes and colors. Hey, remember the super-massive black hole at the center of the galaxy? Well, scientists have been thinking about it too, and they concluded that other black holes should sink into the middle of the galaxy near to the central monster. To find out if this holds true, they utilized the Chandra X-Ray Observatory (an x-ray telescope located on a satellite in orbit around Earth) to observe stars near to the center of the galaxy. Black holes can’t be detected on their own, but if they interact with nearby stars they produce esoteric x-rays which can be detected (so long as the x-ray telescope is outside of a planetary atmosphere, which absorbs x-rays, thank goodness). Within the tiny (er, relatively tiny) three light year area which they scrutinized, the astronomers discovered dozens of black holes. Extrapolating this data leads them to conclude there are more than 10,000 black holes at the center of our galaxy. I wish I could contextualize this for you, but I just can’t… the concept of 10,000 super-dense gravity wells flattening and tearing all of the spacetime in the center of the galaxy into Swiss cheese is to disturbing for me to deal with (in any other way than blurting it out in a midnight blog). I’m not sure this universe is safe at all. I am going to go lie down. Ferrebeekeeper has featured some mind-bogglingly strange astronomic entities before—black holes, ultra-dense stellar remnants, hyper-giant stars with a million times the mass of the sun, colliding neutron stars—but today we move up to a vastly greater order of magnitude! Astronomers have just discovered a new class of galaxy which emits energy at unimaginable levels. Using NASA’s Wide-field Infrared Survey Explorer (WISE), scientists have discovered what are being tentatively called “extremely luminous infrared galaxies” (ELIRGs). One of these galaxies (with the not-very-snappy designation “WISE J224607.57-052635.0”) is producing 10,000 times more energy than the Milky Way, despite being much smaller than our familiar home. The newly discovered galaxy is putting out more energy than 10 trillion suns (or, more correctly, I should say it was putting out the energy of ten trillion main-sequence yellow stars). 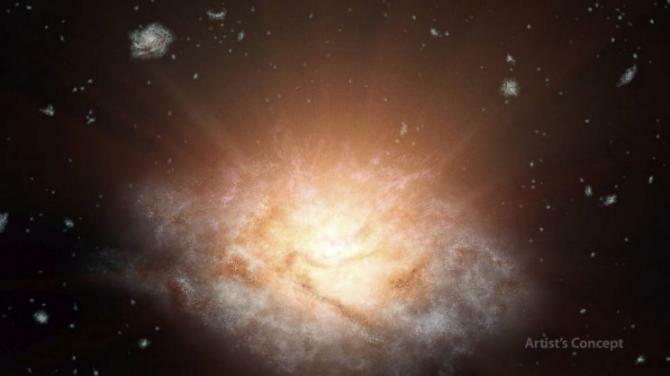 Scientists consider it the brightest known galaxy in the universe. WISE J224607.57-052635.0 is 12.5 billion light-years away. Since the universe is 13.8 billion years old, what we are now seeing dates to a whole different era of galactic dynamics. Today maybe WISE J224607.57-052635.0 is a burned-out remnant…or a perfectly respectable middle-aged galaxy like the Milky Way. Who knows? 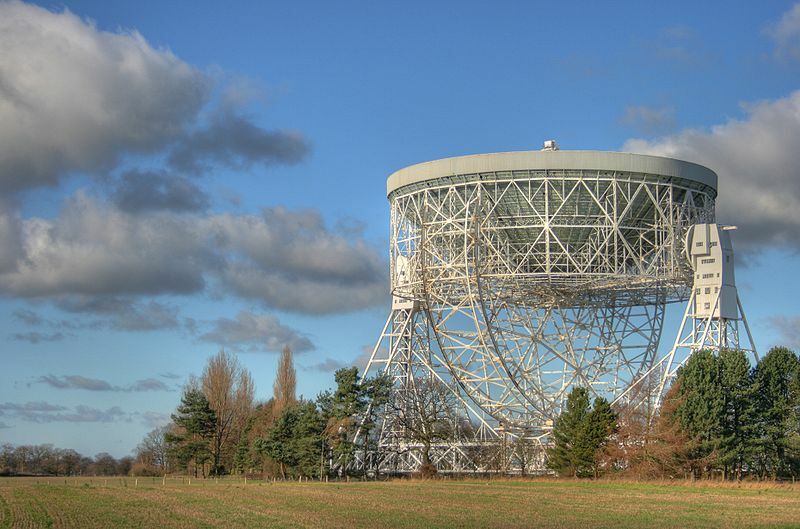 But twelve-and-a-half billion years ago it was releasing an inconceivable amount of energy—so much so that astronomers are having trouble adjusting their theories to it. Perhaps some embryonic galaxies have black holes which gobble up stars at a much greater rate than initially thought or, alternately, some unknown set of circumstances has allowed the black hole (or holes?) at the center of WISE J224607.57-052635.0 to somehow surpass the theoretical threshold of black hole feeding. We have some new galactic neighbors! Well, actually maybe “new” is not the right term: they have been there for a long time but we only just now noticed. Astronomers are reporting the discovery of nine dwarf satellite galaxies orbiting the Milky Way like remoras stuck to a cosmic shark. These nine miniature galaxies are additional to the well-known Large and Small Magellanic Clouds—two dwarf galaxies which are located right next to the Milky Way (being respectively 160,000 and 200,000 light years away). 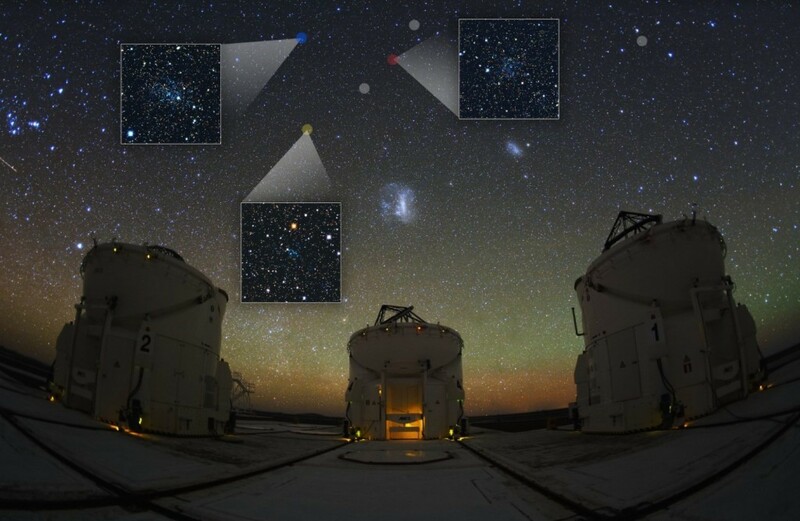 The new dwarf galaxies were discovered by a team of astronomers poring over data recovered from the Dark Energy Survey (a super-high resolution digital array which is part of the Victor M Blanco telescope in the Andes). The closest is a mere 97,000 light years from the Milky Way whereas the farthest lies 1.2 million light years away from us. The dwarf galaxies are a billion times fainter than the Milky Way. They are made up of millions (or hundreds of millions or even billions) of stars but are insignificant in size compared to the hundreds of billions of stars which constitute a true galaxy. Scientists believe that there are hundreds of similar miniature galaxies and pseudo-galaxies near the Milky Way, but they are dark and difficult to find (comparitively speaking). I have been saying “dwarf galaxies” because I like the way it sounds (like the new galaxies live together in the woods in a little hut and work in the mines! ), but actually only three of the new companions are definitely dwarf galaxies. The remaining six structures may be dwarf galaxies or they may merely be globular clusters—a far less euphonic phrase which indicates a group of stars which orbits a galactic core as a satellite. Unlike globular clusters, dwarf galaxies are held together by the gravitational mass of large quantities of dark matter (um, assuming it actually exists). Indeed dwarf galaxies seem to contain far greater quantities of dark matter than actual galaxies. This makes the newly discovered galactic neighbors a potentially useful focus for studying the properties of dark matter and refining our model of the universe. Astronomers speculate that something went terribly wrong to form this oddball of a galaxy. A prime culprit is Messier 60, a large scary galaxy which lurks near the little dwarf galaxy. 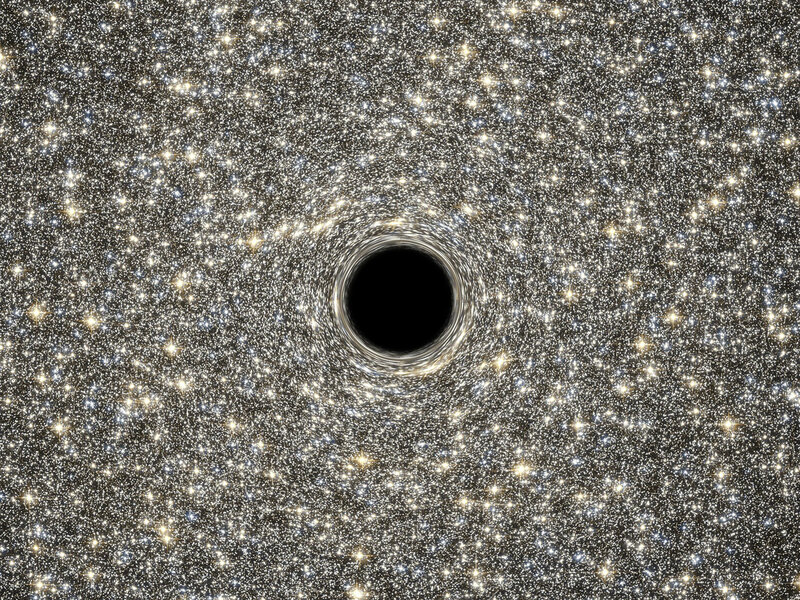 The black hole at the center of Messier 60 is 4.5 billion times the size of our Sun! Perhaps once upon a time M60-UCDI was a normal galaxy with billions of stars…till it wandered too close to Messier 60. 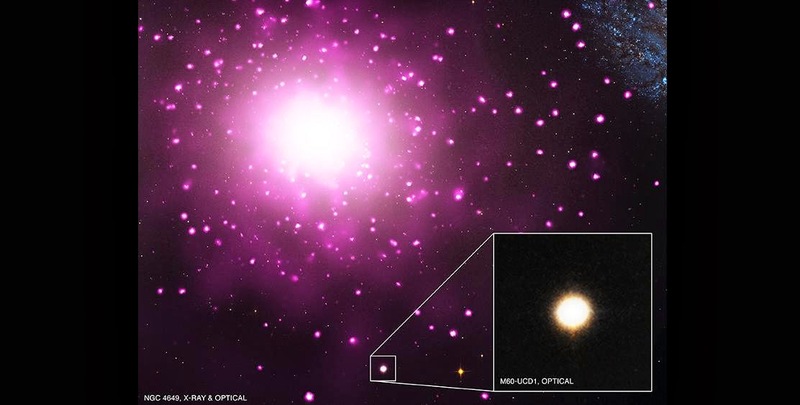 The larger galaxy tore off the majority of the stars which made up M60-UCDI and added them to itself (while Messier 60’s black hole swallowed up its fair share of star systems). It is a horrifying image of galactic bullying! Why can’t we all get along? Twelve million light years from Earth lies Messier 82, a starburst galaxy 5 times more luminous than the entire Milky Way galaxy. Messier 82 (AKA M82) is a very happening and dynamic galaxy: stars are being created there at an exceptionally high rate—most likely because the galaxy is “interacting” (or possibly colliding) with its neighboring galaxy M81. In 2005, the Hubble Space Telescope detected nearly 200 massive starburst clusters near M82’s center. Within these huge masses of dust and gas, stars are being birthed (and dying) at an astonishing rate. The high energy released by this cosmic upheaval is nearly constant and the outflow of charged particles from M82 is evocatively known as “superwind”. Such apparent “superluminal” motion has been seen before in high-speed jets of material squirted out by some black holes. The stuff in these jets is moving towards us at a slight angle and travelling at a fair fraction of the speed of light, and the effects of relativity produce a kind of optical illusion that makes the motion appear superluminal. At present, the best explanation astronomers have for the mystery is that it is some sort of microquasar or black hole which is interacting in an unusual way with the tumultuous mass within a starburst cluster. At present, the mystery is unexplained. [When a] white dwarf siphons off too much mass from its companion star, a runaway nuclear reaction begins inside the dead star, leading to a brilliant supernova. Because Type Ia supernovas are believed to shine with equal brightness at their peaks, they are used as “standard candles” to measure distances the universe. The supernova in M82 is the nearest supernova of its type observed since Supernova 1987A was spotted in February 1987 in the Large Magellanic Cloud (the dwarf galaxy which is companion to the Milky Way). Telescopes around Earth are turning towards Ursa Major (where M82 is located in the sky). 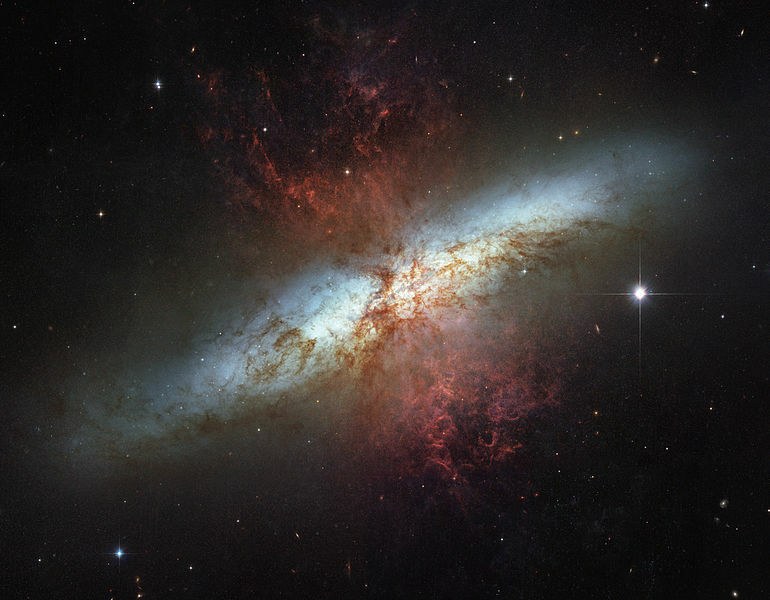 Although the supernova is big news here, it is a very stale story in M82 where this all happened 12 million years ago. News of the cosmos frequently involves inconceivably large numbers or gigantic objects beyond human imagination. This is particularly true of galaxies–gigantic systems of stars, gas clouds, black holes, and exotic unknown dark matter. Even the tiniest dwarf galaxies have tens of millions of stars and our lovely home galaxy, the Milky Way, has approximately 300 billion star systems! 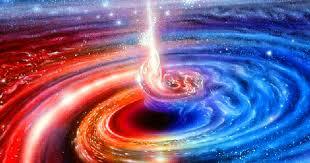 However the universe is a mysterious place and it frequently refutes conventional wisdom and prior expectations. This week astronomers from Hawaii’s Keck Observatory announced that they had discovered a ridiculously little galaxy with only a thousand stars. The adorable miniature galaxy, which has been dubbed Segue 2 is not a star cluster because it is surrounded by its own halo of dark matter, but it is many orders of magnitude smaller than any known galaxy. Astronomers are trying to determine whether it is a scrap of a larger galaxy which was ripped apart (!) or whether it is a baby galaxy which never fully coalesced. Astronomers hope that by learning more about Segue 2 and other hypothesized tiny galaxies they can find out more about the creation of the universe and the formation of elements. Gamma rays have the most energy of any wave in the electromagnetic spectrum (which includes more familiar radiation such as x-rays, radio, and visible light). The wavelength of gamma rays (10 picometers and smaller–which is a subatomic scale) is less than that of any other sort of EM radiation. Such radiation is created in the event horizons of massive black holes and during the destruction of gigantically massive stars. Comic book enthusiasts know gamma rays as the mysterious super force which created and empowers the incredible hulk, although actual cell biologists recognize gamma rays as ionizing radiation–supremely hazardous to living entities. On Saturday, April 27, the Fermi Gamma-Ray Telescope (a NASA satellite which orbits around Earth) detected a sudden brilliant surge of gamma radiation from the collapse of a super massive star in a galaxy 3.6 billion light-years away. 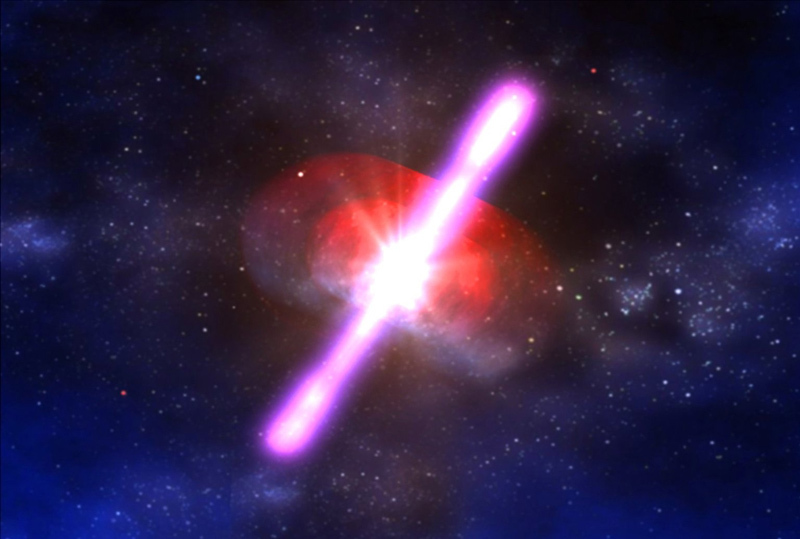 Gamma ray burst travel in vastly powerful beams which are very narrow–an effect which is a result of the shape of supernovae, as illustrated in the picture above. Our old friend Eta Carinae has probably exploded and produced such a burst by now. A gamma ray bust from a nearby Wolf–Rayet star (any star with more than 20 solar masses) would most likely fry away life on our planet if it were aimed directly at Earth, but such explosions are increasingly rare as the universe ages. Scientists can monitor gamma bursts from the edge of the universe (i.e. the distant past) but such a powerful event has never been monitored by our modern satellites and observatories from a middle range until now. As the gamma ray burst fades (and the astronomy community begins to assess the initial data) other observatories will be on the lookout for the next wave of phenomena associated with the supernova. Most of the energy of a supernova explosion is believed to be dissipated as neutrinos (esoteric subatomic particles which react very little with physical matter in this universe). 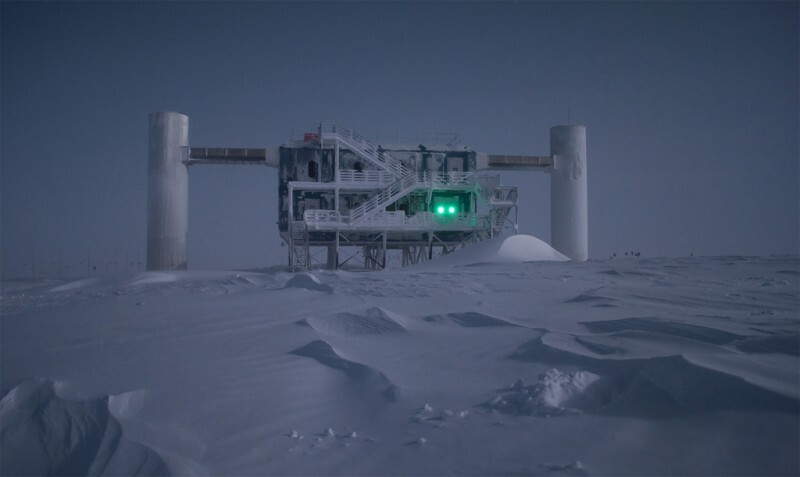 Fortunately humankind now possesses a sophisticated neutrino observatory on the South Pole where thousands of sensors are imbedded within a vast amount of Antarctic ice. In the rare cases where neutrinos interact with matter, they produce a cascade of charged particles which can emit Cherenkov radiation (familiar as the spooky blue glow in a nuclear reactor). Understanding the neutrino signature of such an event would potentially further our understanding of the physical parameters of existence. Also, a luminous flash of less energetic radiation (x-rays, radio waves, light, and so forth) should be following the gamma ray burst. We understand these parts of supernovae better (since they are visible from many angles unlike the linear gamma ray bursts), but it should still be pretty–and round out our understanding of the full astronomical event. 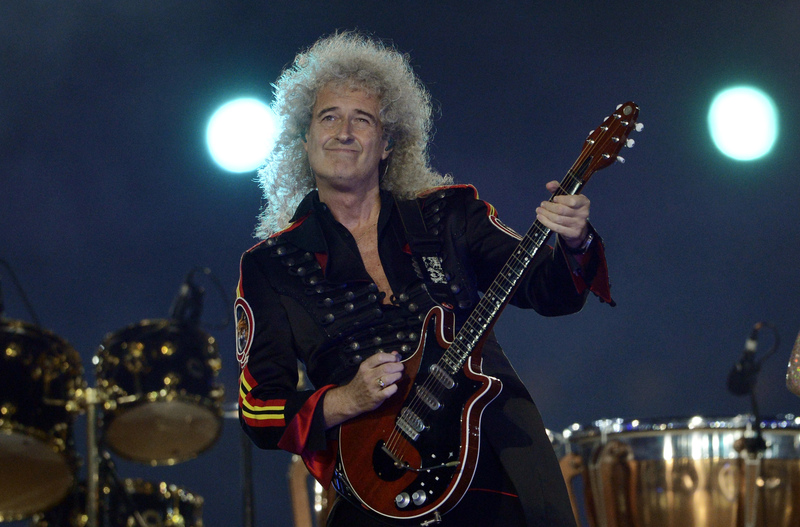 Brian May is an astrophysicist who pursued a career in music. He is the guitarist for the rock band Queen and he is more famous for writing “Fat Bottomed Girls”, “We Will Rock You”, & “Who Wants to Live Forever” than for anything he wrote while obtaining his Astrophysics degrees. Brian was popularizing Galaxy Zoo on his blog (Galaxy Zoo is an online project which seeks public help in classifying vast numbers of galaxies. 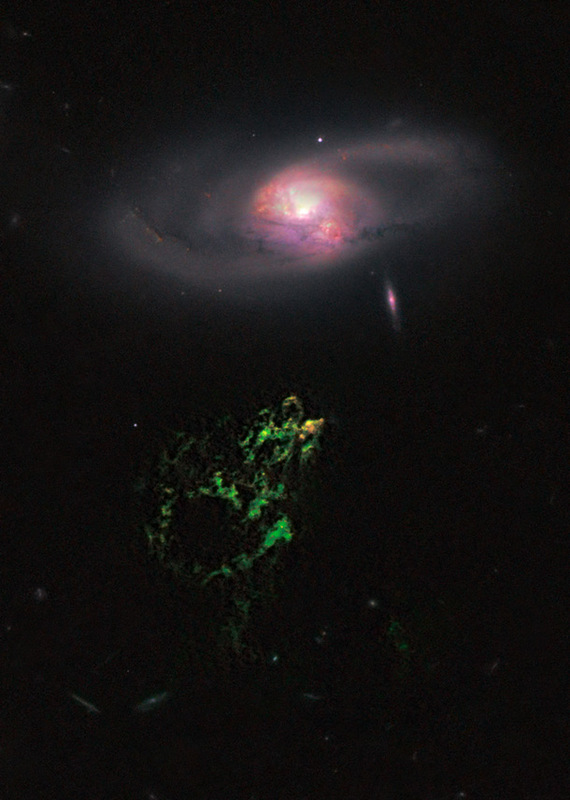 A Dutch fan, Hanny van Arkel (a schoolteacher by trade), became interested in the project and started working on the site when she spotted a huge weird glowing green thing below spiral galaxy IC 2497. 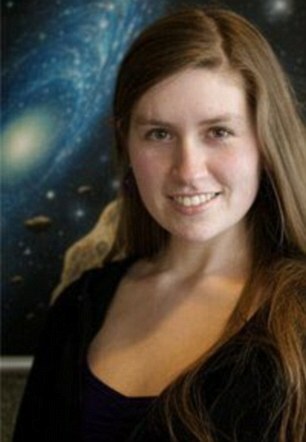 She presented her findings to professional astronomers, who were also perplexed by the ghostly shape. 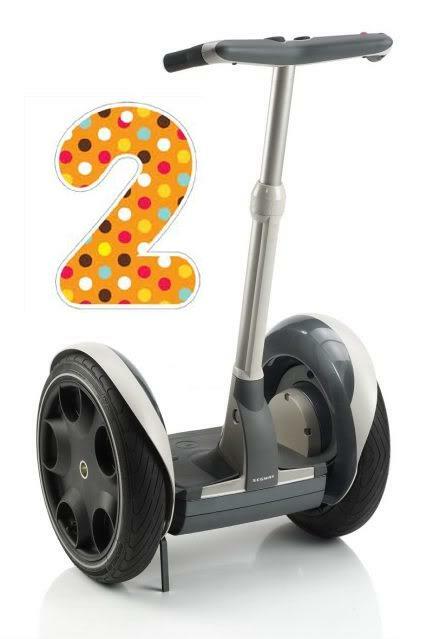 They duly named the object in her honor “Hanny’s Voorwerp” (which is Dutch for “Hanny’s thing”). So what is Hanny’s Voorwerp? The leading theory is that the supermassive black hole in the center of IC 2497 created huge jets of energy and gas as it (messily) devoured great masses of matter at the center of that galaxy. These esoteric plumes interacted with an unrelated stream of gaseous matter hundreds of thousands of light years long (which is longer than our galaxy). The thin clouds of glass then fluoresced like a krypton sign or a Scooby-Doo ghost. Thanks Brian May and Hanny! This is one fancy voorwerp.